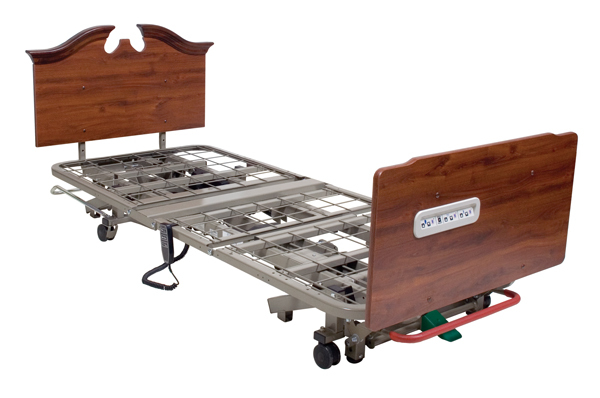 The new Matrix II is the latest addition to the innovative line of Basic American beds that offers a high quality bed with features to meet your resident long-term care needs while addressing pricing concerns. The Matrix II is designed with a superior grid deck sleep surface that provides the upmost security for your residents. 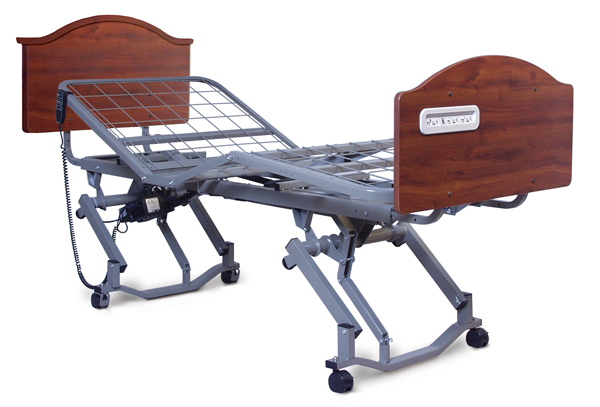 With features such as adjustable hi-lo bed height adjustment and easy mobility, the Matrix II provides an ideal solution that meets both your resident and caregiver needs at an affordable price. Strong Grid deck is superior to old-fashioned spring link designs. Structural crossmembers offer a “nosag” mattress support surface that provides the ultimate support and is easy to clean and disinfect. Quiet, powerful and smooth operation by using only three DC motors – a peaceful operation and savings in maintenance cost versus traditional four or more motors. Smooth, rapid height adjustment from a low 8.95″ to 25″ enhancing efficiency and reducing staff injury due to faster adjustment for proper resident care. Structured Base provides a reinforced, robust, base that is designed for support yet offers sufficient underbed clearance, ideal for using overbed tables and patient lifts. Lok-n-Roll option provides a one-step locking system that is easily accessible even with low bed height.